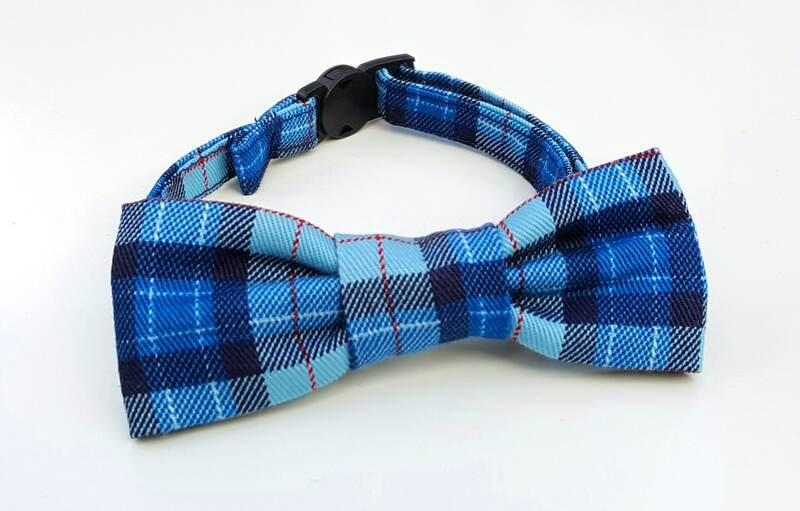 This blue plaid check hipster cat bowtie is a definite for the fashionable cool cat in your life whether a boy cat or a girl cat. 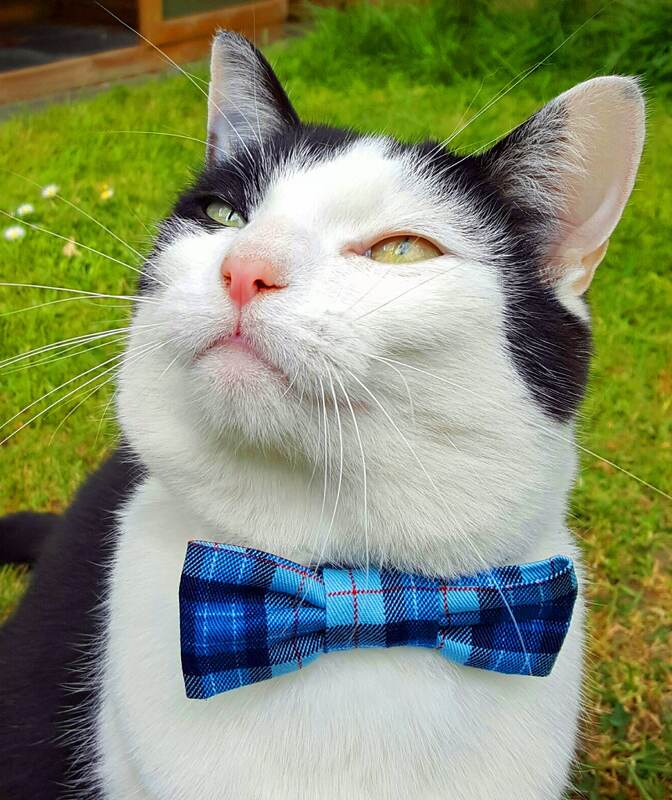 Your cat or dog doesn't even need to be Scottish or from Scotland to look great in this. Simply slide on your your existing collar or onto a fabulous matching one.